The author of this research finding is the eminent lawyer-turned writer-journalist (late) Sayyid Ameenul Hasan Rizvi. An informative e-book in view of Ramadhaan. I uploaded this in my Seerah blog a week ago but somehow forgot 😦 to include here. 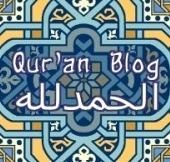 Through blog statistics I find that the Reflections on ‘Hasbunallahu Wa Ni’mal Wakeel’ is the most sought after post, alhamdulillah.